Busch Geotechnical Principal Bob Busch (REB) edits this website, but it's been crazy busy for almost two years so he is WAY behind inputting photos and informative job descriptions. Bob hopes to catch up the best of the recent past soon. In the meantime, Like us on Facebook. Contact Information: Click on "Home" and fill out a Contact Form, email bob.busch.geotech@gmail.com, phone 541-469-7300, or send a FAX to 541-469-2903. 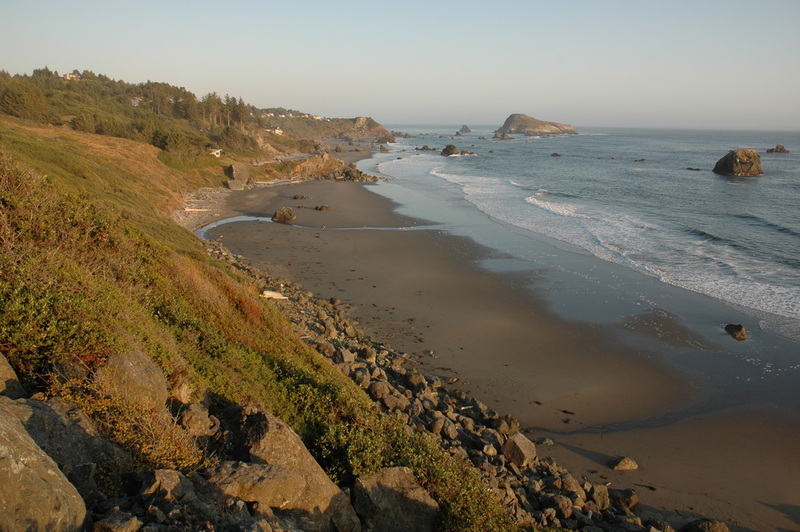 We have closed our Arcata, California, office and now operate out of our former satellite office in Harbor, Oregon. Please address administrative inquiries to ​​​marilyn@buschgeotech.com. The sea is rising, the land is moving...it's a dynamic world. Do you need reliable information about...Hazards at a Property you are Purchasing...Global Sea Level Rise...Coastal Erosion Rates...The Risk of Bluff Retreat or Hillslope Instability at a Property you Own...Tsunami Runup or the Risk of Flooding...Liquefaction Potential...Earthquake Risk or Design Seismic Values...Construction Setbacks...Soil Bearing Pressure...Settlement or Differential Settlement...Fill Suitability...Leaning Trees or Ground Cracks...Resource Management or Development Feasibility...Regulatory Issues...A Phase I Environment Site Assessment...Real Estate Sales or Purchase Support...Litigation or Arbitration Support? We can help! Bob founded Busch Geologic Consultants in May, 1985, and shortly thereafter changed the company name to Busch Geotechnical Consultants. He put this new website online on March 28, 2012, and updates it as frequently as his workload permits. Thank you for looking at the site. Bob adds photos frequently, especially to the "Recent Work" pages. Most photos have informative captions. There are captioned photos on nearly every page and we have a search engine. Enter a job number, search word, company name, job number, city or water body, landslide type, sand sample number...just about anything except a client's name and the search engine will take you to a list of pages containing the word or number if it is in the website. Click on the entry of interest and the search engine will take you there. GOOD LUCK! Enjoy our educational site. Click on a photo to enlarge it. This is an educational website.